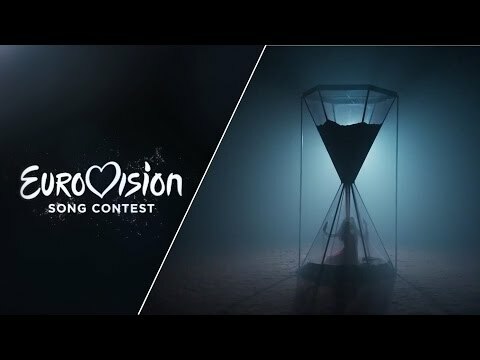 Inspired by the last two successful years with reaching the Grand Finals, Belarus had a national final called “Eurofest”. There were 110 song submissions for this event. There were funny entries such as the zombie band Sweet Brains. One of the favourites was the girl band Milki with “Accent”, which has been composed by Alexander Rybak, who won for Norway with “Fairytale” back in 2009. At the end the duo Uzari & Maimuna could convince with their modern song “Time”. Maimuna Amadu Murasjko was born in St. Petersburg, Russia in 1980. Due to the fact that her father is from Mali, the family moved to Africa. Maimnua was not able to adapt to the hot desert climate and moved to her grandmother in Belarus, where she grew up. Early she learned to play the violin and participated in several festivals such as the “Young Virtuoso contest” in Kiev in 1990 and the “Music Of Hope Competition” in 1996. By now she is called “The Violinist of Belarus” and has recorded two albums “Queen Of Africa” and “Showtime”. Uzari, whose original name is Yuri Narvrotsky was born in Minsk, Belarus in 1991. He grew up in a very musical orientated family and become a songwriter and singer. Uzari has already composed a song for the Junior ESC “Sokol” and accompanied Anastasiya Vinnikova in Düsseldorf 2011 with “I Love Belarus” as background singer composed two songs for the national finals in Belarus: “The Winner” (5th place) and “Secret” (8th place). The song “Time” is an up-tempo song accompanied by the violin of Maimuna. The striking chorus is very memorable and catchy, very modern though. With this sympathetic duo, Belarus has set a new standard in Belorussian songs in the ESC. A qualification for the Grand Final should be possible. For Belarus it will be the 12th time in the Eurovision Song Contest. But for many TV viewers who have not watched the Semi Finals it will be irritating as Belarus has only been four times in the Grand Final. The debut entry in 2004 “My Galileo” by Aleksandra & Konstantin made a 19th place in the Semi Final only. There has only been one Top10 placing, which makes realistic chance of 8% for Belarus to reach the Grand Final. The best rank was #6 “Work Your Magic” by Dimitry Koldun in 2007. The Belarussian entries are were mainly supported from the other former Soviet countries when it comes to the points. Maybe the style of the songs does not meet the taste of the Europeans so well, even if the composers try to make the songs as modern as possible. In the last two years Belarus made into the Grand Final and both songs came 16th.